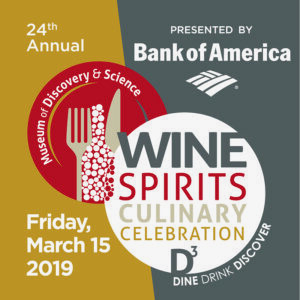 The Museum of Discovery and Science will host the 24th Annual Wine, Spirits and Culinary Celebration presented by Bank of America on Friday, March 15, 2019. The Grand Tasting will take place from 6:30 to 10:00 p.m. 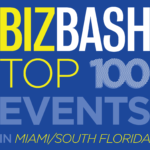 Event highlights include tastings from South Florida’s leading restaurants and a vast array of wines and spirits from around the world, courtesy of beverage sponsor Southern Glazer’s Wine & Spirits. There will also be an assortment of craft beers to taste, great items in the silent auction, and a complimentary wine glass for every guest. All proceeds of the event benefit the Museum. Tickets can be purchased online at www.modsevents.org. For additional information, please e-mail Hillary Wallace or call 954.713.0918. Forman Christian Foundation Lochrie & Chakas, P.A.